WHEN IT COMES TO PARIS markets, the Marché d’Aligre is about as lively as they come. Situated between rue de Charenton and rue du Faubourg St-Antoine in the 12th arrondissement, the market actually comprises two markets, the indoor Marché Couvert Beauvau and an outdoor street market. 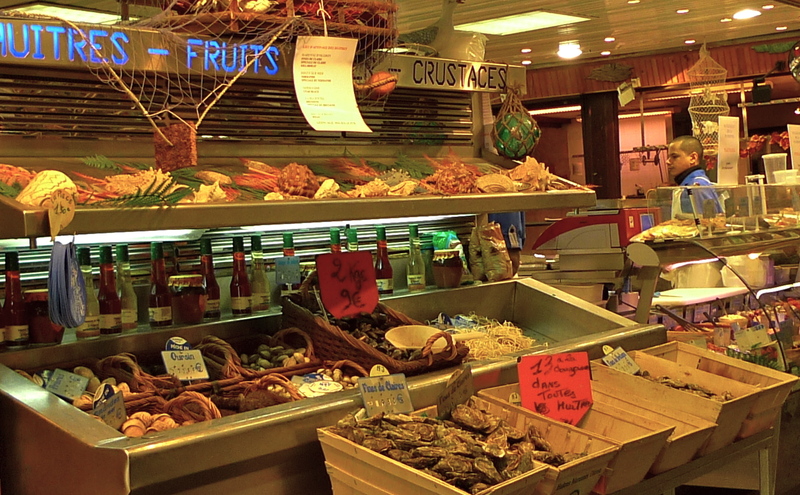 The indoor market sells a wide variety of food from its fromageries and charcuteries, as well as seafood and a host of other things – but get there early if you want the best choice. 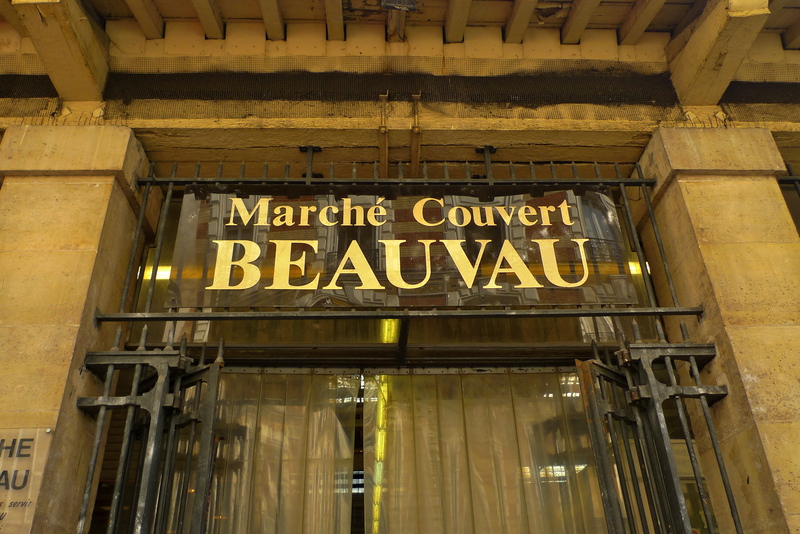 Unlike some indoor markets in Paris, the Marché Beauvau is not all that big so, especially in the mornings, it can be a bit of a crush. However, even at its busiest, it becomes a haven of tranquillity compared to the outdoor market. The outdoor market consists of a flea market in the square next to the Marché Beauvau where clothes, antiques and a range of bric-a-brac are on sale. But it’s along the adjoining rue d’Aligre where the market really comes to life with the street vendors, many of Algerian origin, doing a frenetic trade in fruit and vegetables. This colourful melange of sound fascinates me. It reaches its peak on Saturday and Sunday mornings when the market is at its busiest. For people busy shopping for their fruit and vegetables these sounds probably go largely unnoticed or, at best, they just become part of the background atmosphere, but for me, fascinated as I am by our sonic environment, these sounds form a rich tapestry and an important part of our social history. As well as engaging in frenetic shopping it’s also possible find some light entertainment. 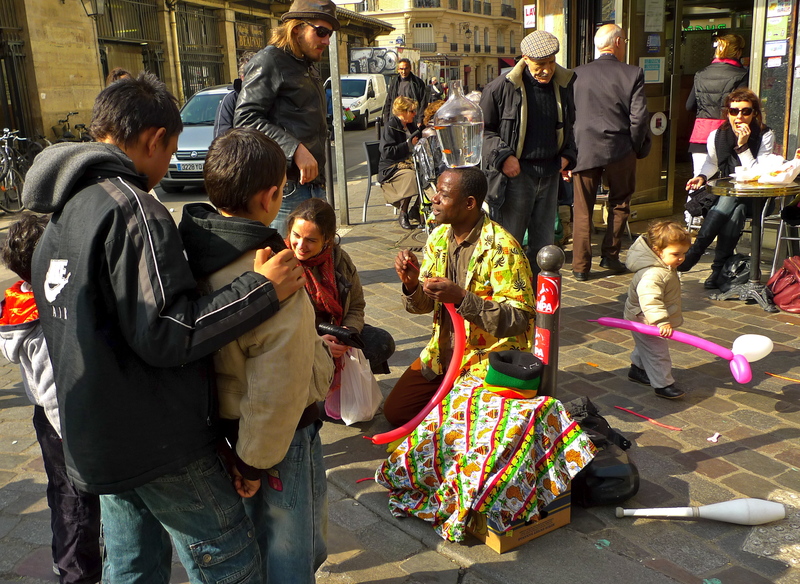 Wherever there are crowds in Paris there will always be street entertainers to keep them amused. 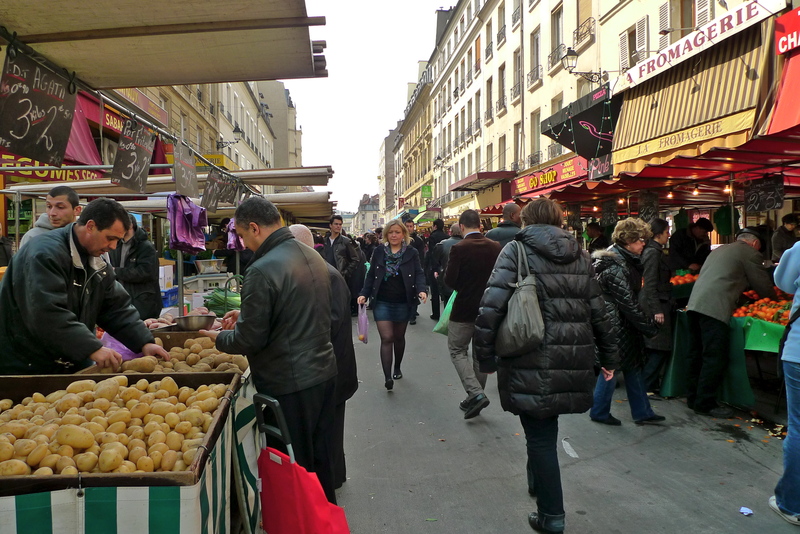 The Marché d’Aligre is a ten-minute walk from Place de la Bastille and the closest metro is Ledru Rollin on Line 8.